Hi, I’m Hannah! Welcome to my blog! I’m so glad you’re here. Just Bee is a community where women are encouraged to be intentional and joyful in their homes, marriages, and motherhood journeys. Here, you’ll find posts on everything from housecleaning routines and meal planning, to growing your marriage and learning alongside me how to do life with a little one. Some posts are deeper reflections on topics like miscarriage or trusting God, and other posts offer fun tips and checklists! No matter what you’re looking for, Just Bee is a place where you can connect and grow. Join us in authentically – yet joyfully – processing all that life gives us! I’m a 20-something wife and mama living in rural Minnesota with my husband Bjorn and daughter Sophie. I’m licensed as an elementary teacher and I taught for 4 years before having the privilege to stay at home with our baby girl. Just Bee officially launched in 2014 when I started taking blogging seriously, and I haven’t looked back since! Blogging is the ultimate creative outlet for me. It combines my favorite things in life: photography, writing, and connecting with/encouraging others. I’m an INFJ and an Enneagram 4. I love my to-do lists, my acoustic music playlist, and my chai tea lattes. 🙂 In my photography, I love to capture light + life – whether it’s friends and family or the country sunsets around here during golden hour. We currently live in a small town that’s surrounded by acres and acres of fields, and our dream is to build our own home in the country someday. I’m quite content here; the only thing I wish I had is a Starbucks nearby. 😉 My husband’s nickname for me is “Bee” – hence the name of this blog! My husband Bjorn and I were those good friends in college who became best friends, fell in love, and ended up married. We finally started dating when he pulled me in and kissed me one winter night our junior year (SO spontaneous – not like either of us, actually! )…and the rest is history! We both always wanted to marry our best friend so we love the way our relationship began. 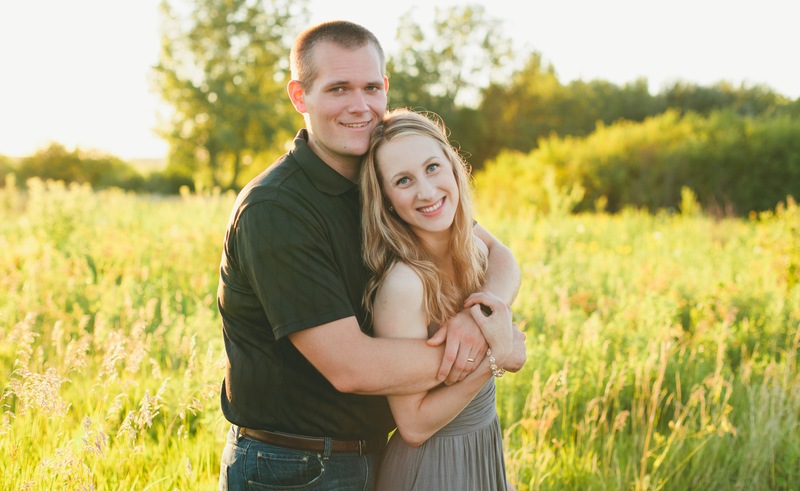 Bjorn and I were married on a cold, sunny day in March 2014, during our first year of teaching. We moved back to his hometown to start our married life together. Bjorn is a middle school history teacher, an officer in the U.S. Army Reserve (and commander of his unit), a farmer, and the mayor of our town. Needless to say, he loves being busy with meaningful work and working hard. He is also my closest companion, a hilarious storyteller, the world’s best bear-hugger and travel buddy, and he has the most tender heart. I’m daily grateful for the gift God gave me in my husband. Together, Bjorn and I love to learn new things, peruse aisles at Barnes & Noble, travel the world, have movie nights, goof off together, and cheer each other on in our various endeavors. We recently embarked on a whole new adventure entirely, as we welcomed our sweet daughter Solveig Brynn (Sophie for short) into the world in October 2017! Sophie is the cutest thing we’ve ever laid eyes on. She is such a gift! Thank you for stopping by Just Bee – I know you’ll enjoy the uplifting community here. Grab a cup of tea and get caught up! You can join the Just Bee community by subscribing to my email list, or on social media by following along on Instagram, Facebook, Bloglovin’, Pinterest, or Twitter! And, a new development: make sure you subscribe over on YouTube!